Hi guys, just rigged ( not sailed) a new 2017 Severne 7.5 NCX. I have attached photos, any tips or advice on how it looks appreciated. 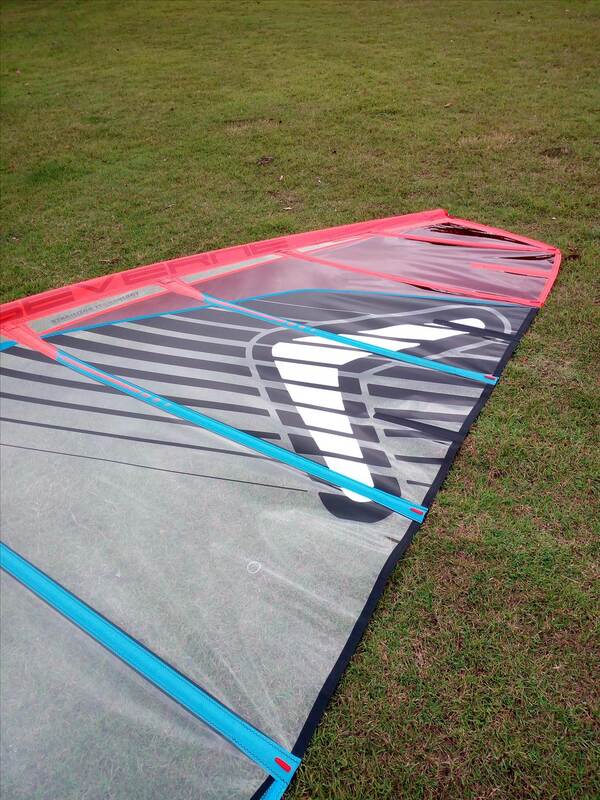 don't usually use non cambered sails but it looks fine to me. Thanks, getting back into the sport after a long break. Amazing how things have changed. NOT an expert and my NCX is older, but I reckon that is minimum downhaul. really - more downhaul ?? what mast are we talkin here?? Coincidentally I was doing the same thing and thinking the same thing today. I rigged a 7.0 (the orange one) just to check it out and the wind seemed to be filling in so I rigged the white 6.0 and went out in barely 15 knots. The 6.0 looked flat and felt a bit twitchy. I was using an RDM and set the downhaul to recommended length as well as the outhaul. I loosened the battens half a turn and could see wrinkles so I tightened one turn to take them out. On the water I released the downhaul even more but not much happened. The sail was nowhere near touching the boom. Maybe I just needed more wind. 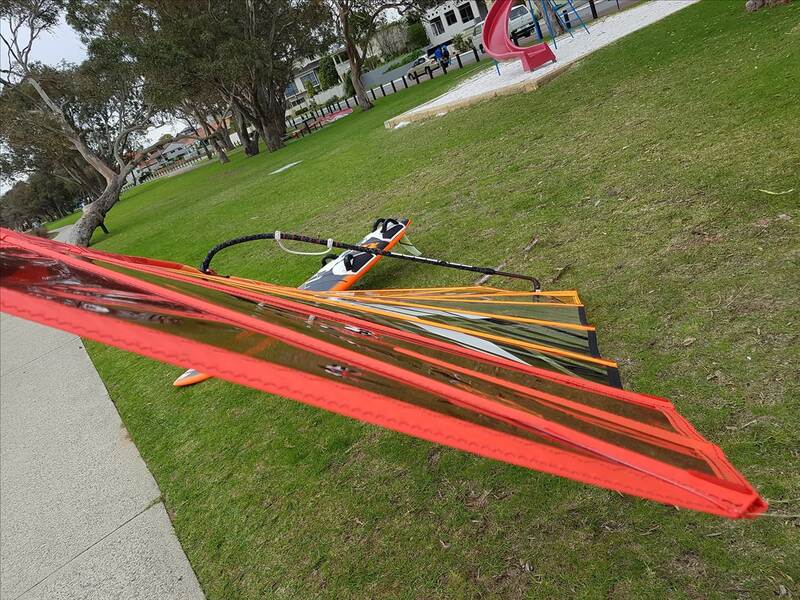 When I came in I put another centimeter of downhaul and 2 turns on the bottom three battens (see photos of white sail), I think it looked better but didn't get to try. the last picture looks perfect agrid....MD i would let a bit of outhaul off to give a bit of belly ,like this last picture . i love the smell of a new sail....nice sails lads . Hey guys , my mast is a sdm constant curve north black 50% . I did think maybe a centimetre more down haul, in regards to outhaul, don't know if I can let it out more as it only had about a centimetre on it. Being a brand new sail it was a bit stiff to rig, I'm sure it will loosen up a bit once sailed a few times. I appreciate all the responses and will try and tune. NCX's can be a bit twitchy and underpowered if over out hauled. Try 2cm to 4cm less outhaul than spec and downhaul to spec to start with. Put another cm or so of downhaul on if the wind picks up to open the leech and keep the power lower. Also make sure you downhaul so that you are block to block as it keeps the sail lower and less rope to stretch when it gets wet. 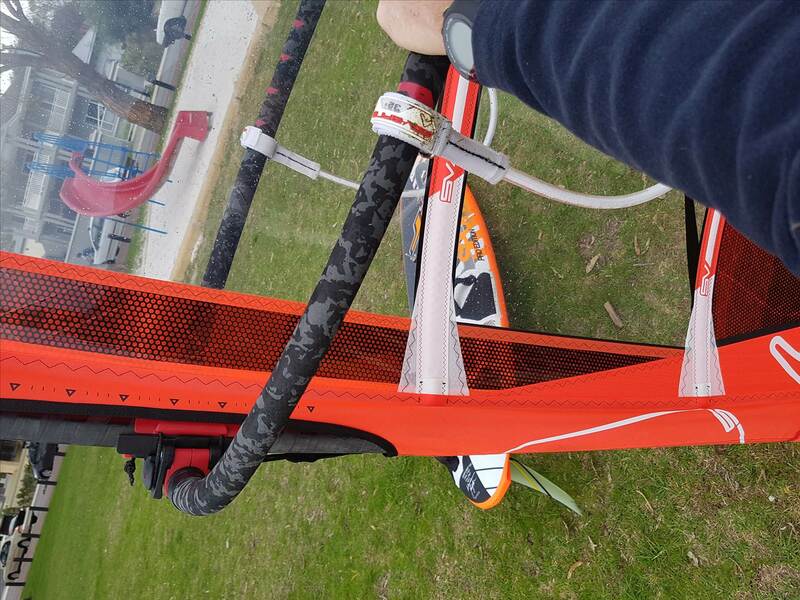 If you can afford it down the track, get a carbon boom as they will not bend and belly out when a gust hits and you can lock in and go quicker instead of the draft moving around and catapulting. This saves on board repairs as well! I really like the severne extensions and use a constant curve mast on mine as well. 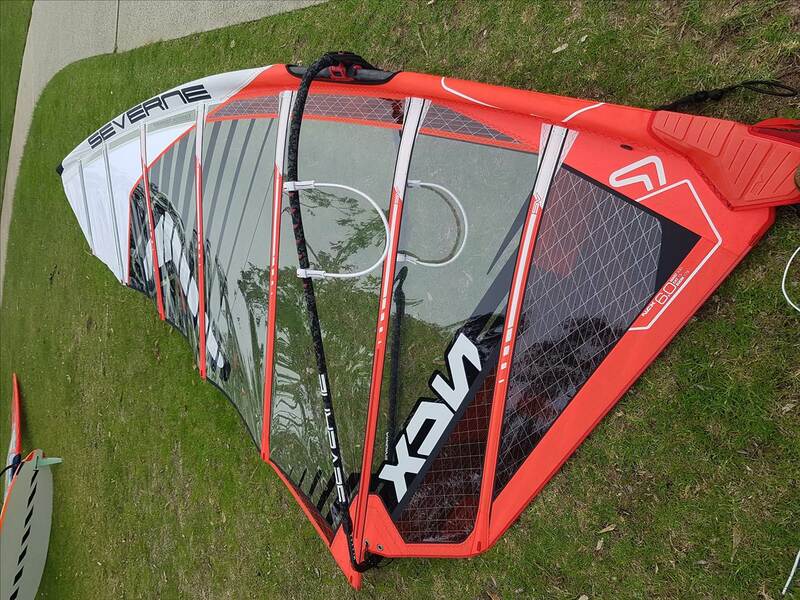 I have same ncx 7.5 and it definitely needs bit more downhall but just get on water and play you will soon get the feel for different wind range and tunening. I only give neutral out hall unless overpowered. Just go have fun ! One thing th.at surprised me was that the battens were nowhere near touching the RDM red mast. Doing a bit of reading it seems that I need to get used to running an NCX about a metre bigger than what I'm used to. Probably why Ben told me to hold off on buying a 5.0 until I tried the 6.0 on a windy day. 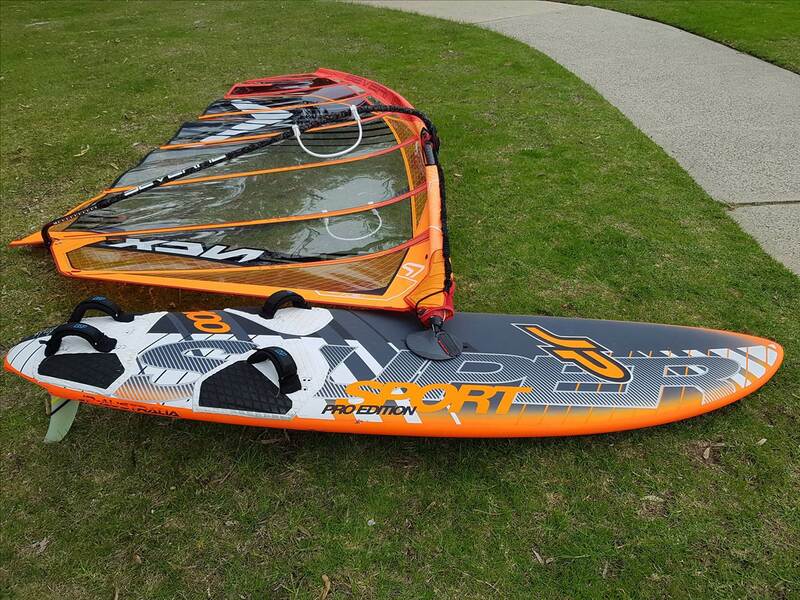 Thanks for all the advice, can't wait to get it on the water and have a play around. Will definitely add a bit more down haul, see how it goes. 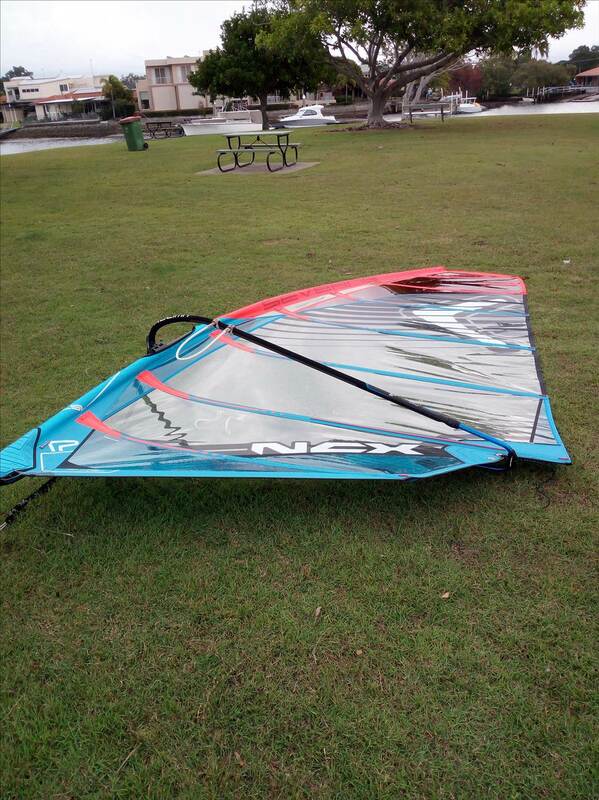 I use 6.5 / 7.5 / 9 NCX sails as my everyday sails and love how much de-powering they've got in them. 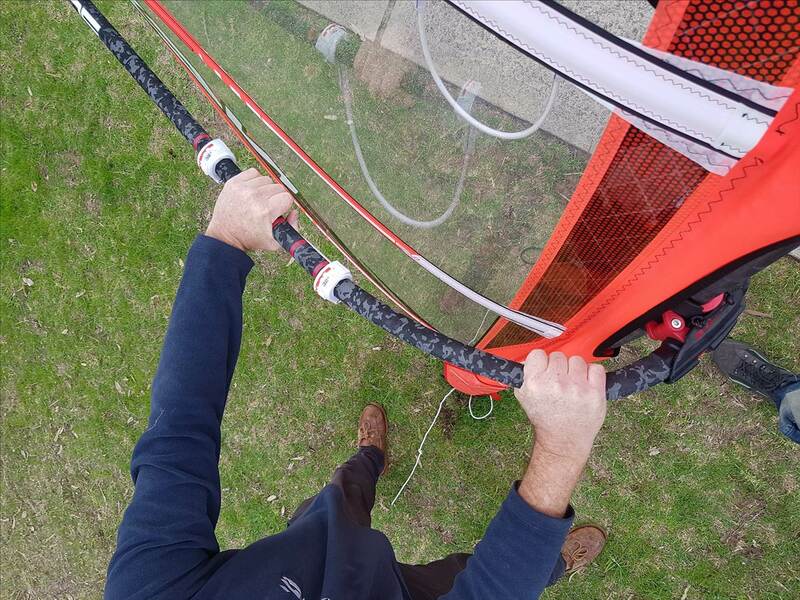 I use a method where I tune by positioning the front end of the two battens on either side of the boom in relation to the front edge of the mast to determine what power setting I'm after. For maximum power I use minimum downhaul with a nice tight leech that puts the front end of these two battens roughly in line with the leading edge of the mast, I then can fine tune with outhaul from neutral to positive. You will need a good pump to pop the battens over for a big sail in lighter wind. For de-tuning, I just pull down more to pull the front of the battens back towards the trailing edge of the mast giving more flop in the leech and then only use neutral outhaul so I still have a little shape in the bottom of the sail. Fantastic sails and good strong design, only catch is that they crinkle heaps around the hole for the boom and so when they eventually fail in the mono, get your sailmaker to replace that half panel with a bit of x-ply. It looks like you use SDM and Agrid uses RDM, your sail looks detuned and Agrids looks rigged for a little bit more power, but I'd say neither are rigged for maximum power. Flat equals very twitchy, floppy equals hang on. Absolutely, less downhaul will make it more drivey and less twitchy and then use a bit of positive outhaul to fine tune. I use old North SDM, constant curve masts for the 6.5 and 7.5 and an old NP SDM constant curve for the 9. They're great basic sails. I had a long chat at the Severne shop today. They explained that sails are very different to what I'm used to in the old days. Recommended downhaul is normally all that is required and that only tiny adjustments might be needed to the outhaul and in unusual circumstances maybe half a centimeter of downhaul. 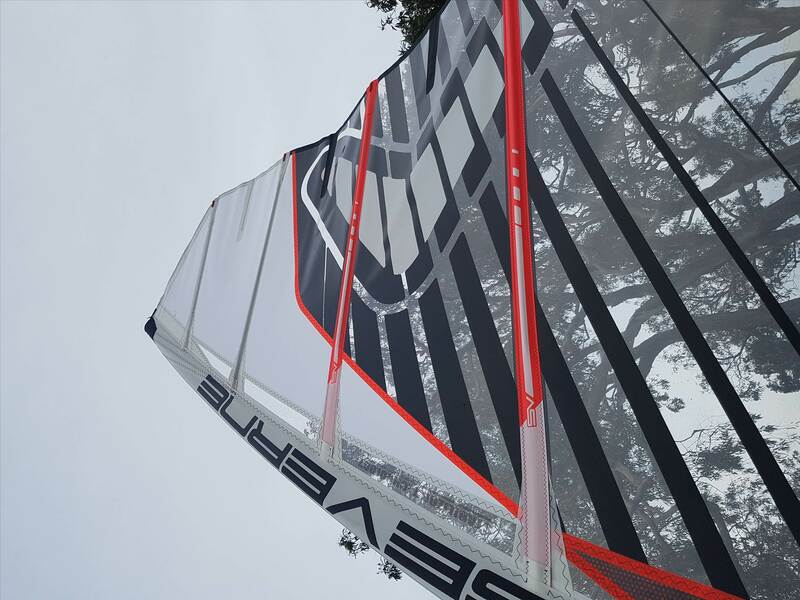 They also explained that my 6.0 NCX is actually a strong wind sail and that I should find myself using the 7.0 post of the time. A 5.0 only if I go out in winds getting up near 30 knots. 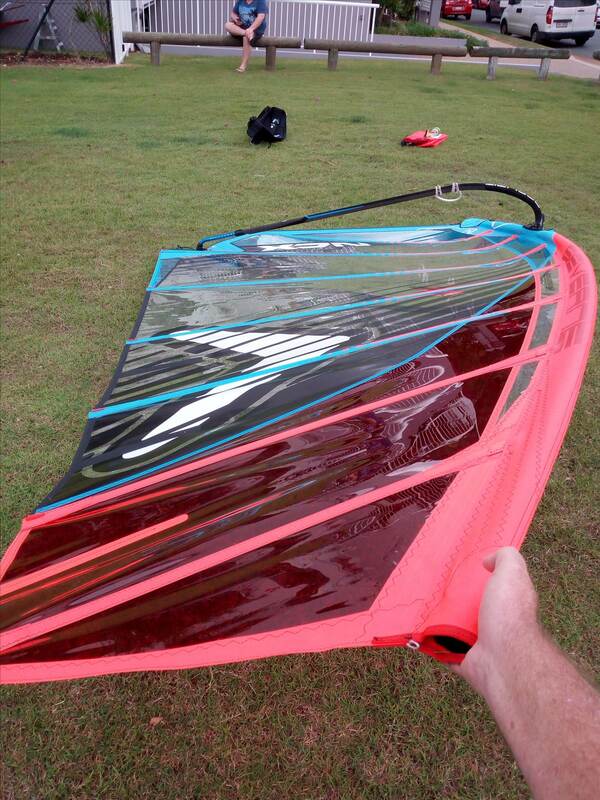 Also the flat shape is normal until it gets some decent wind in it. Apparently things have changed since the RAF Wave came out. I think the second picture show some wrinkles on the bottom batten? Or maybe too much tack strap ?